Founded in 2003 by technology, marketing, design, and education professionals, we are an independent developer of games for advertising, corporate learning, K-12 education, politics and political outreach, and other uses outside entertainment. 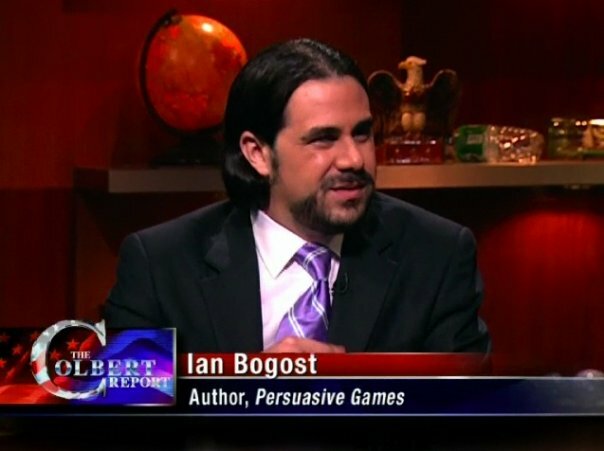 Dr. Ian Bogost, a founding partner and the chief designer at Persuasive Games, is a world-renowned technology researcher and writer. He is Ivan Allen College Distinguished Chair in Media Studies and Professor of Interactive Computing at the Georgia Institute of Technology, where he also holds an appointment in the Scheller College of Business. Bogost is also a Contributing Editor at The Atlantic. Among his many books is Persuasive Games: The Expressive Power of Videogames (MIT Press, 2007), a seminal work on the uses of games in politics, business, and learning. It forms the basis of our studio's design philosophy. We call it procedural rhetoric: creating a simplified, simulated model of a thing in the world so that players can understand how it works (or how it's broken and needs fixing). Copyright © 2003 - 2018 Persuasive Games LLC. All rights reserved. Persuasive Games and the Persuasive Games Logo are registered trademarks of Persuasive Games LLC.